Equal parts hilarious and heartbreaking, this unrequited-love story will appeal to fans of Jennifer Niven, John Green, and Jesse Andrews. If this were a movie, everything would work out perfectly. Tabby would discover that Matt’s madly in love with her, be overcome with emotion, and fall into his arms. Maybe in the rain. 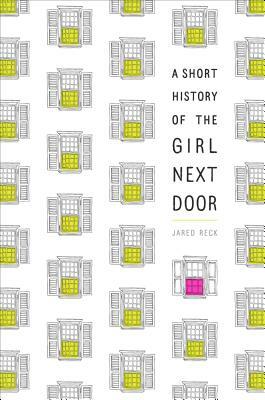 Jared Reck is a debut author. He received a Bachelor's in English from Clemson University and a Master’s in Educational Leadership from Shippensburg University, and recently completed graduate coursework in McDaniel College’s Writing for Children & Young Adults program. He lives in Hanover, Pennsylvania, where he’s an eighth-grade Language Arts teacher. Learn more about Jared on Twitter at @reckj.